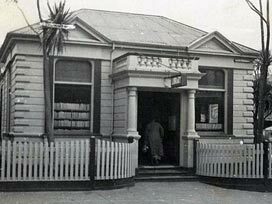 On 16th February 1905 Brooklyn Library, the second Wellington City Branch Library, was opened in what is now the Brooklyn Playcentre at 22 Harrison Street. It was only open 9 hours a week at first, and the Librarian lived in a flat at the rear of the building. The original collection consisted of 350 books. 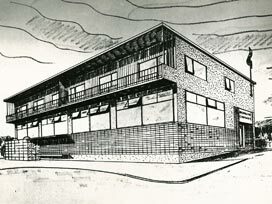 With the growth of Brooklyn, a new library was deemed necessary, and the present building on the corner of Harrison and Cleveland Streets was opened in 1960. The original entrance was in Harrison Street, and in 1992 it was closed off and ramp access was provided in Cleveland Street, enabling increasing numbers of parents with pushchairs to enter easily. 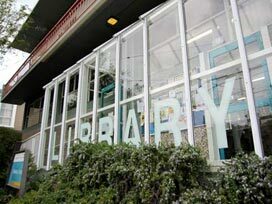 In 2005 Brooklyn Library celebrated its centenary. In pre-European times the Brooklyn hills were known as Turanga-rere to the Māori, meaning 'the waving plumes of a war party'. This probably referred to the tall trees on the hills waving in the wind like hair adornments on warriors dancing the haka. European settlement began in the 1840s, when the district of Ohiro (Owhiro) was subdivided into 100 acre blocks. What is now Brooklyn developed from three of these blocks and Brooklyn village was formed in the 1860s. The suburb's name changed to Brooklyn in the 1880s, when the main subdivision was offered for sale. Brooklyn school celebrated its centenary in November 1998. A prominent feature of the skyline in certain parts of Wellington is the ECNZ wind turbine, situated on Polhill, in Panorama Heights. Since it was installed in March 1993, Brooklyn has become synonymous with this turbine. When the pavements were re-sealed, ceramic tiles depicting the wind turbine were implanted in the paths. Apart from regular library services such as answering enquiries and issuing and returning library items, the library hosts popular preschool storytimes and holiday programmes - for more details of these see our What's On page. free access to all New Zealand websites (those ending with '.nz' in their domain) plus thousands of reference websites and newspapers online. email, and other general Internet access is available via the "paid internet service''. Minimum access time is 15 minutes ($1.50), with 30, 45, 60, 90 and 120 minute time codes also available for purchase. If you do not use all of your time during a session at the computer, you can use up the remaining minutes at any WCL branch within the code's validity (usually 30 days). fax, b&w self-service photocopying and printing from the internet or flash drives are available. Black and white photocopies and printouts are 20c per A4 sheet. 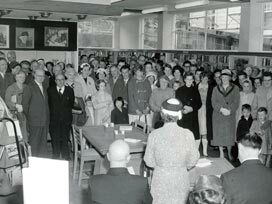 The library also has a collection of Brooklyn local history files, past copies of the Brooklyn Tattler, current copies of local newspapers such as The Dominion Post, Cook Strait News, Wellingtonian and Capital Times, and Wellington bus timetables. The Māori branch name for Brooklyn Library is Moe-rā. This was a small Te Ati Awa kainga and cultivation area on the hill slopes of Marama Crescent, off Owhiro road, near Central Park. Find out more on our Māori branch names page.